Every year, a slew of pickup truck models try to knock the Ford F-150 from the top of the lists. But critics and buyers continue to praise and prefer the F-150, and once you start looking at it, it's not hard to see why. To get what we mean, in this comparison guide, we pair the F-150 with the 2018 GMC Sierra 1500. We hope to demonstrate why the Ford F-150 keeps returning year after year to the top of the bestselling list. One of the best things about the 2018 Ford F-150 is that you get a great truck at a great base price. But if you want to customize your ride, everything from a bare bones workhorse to a luxury liner, Ford has you covered. The base F-150 starts at $27,700. Besides the Dynamic Hitch Assist, the base F-150 has almost no other features to speak of. But that's okay because Ford meets you wherever you need it. Move to the next trim level, the XLT, for $33,000 and add power windows and locks, USB port, smartphone connectivity, MyKey, and SYNC infotainment system. But that's not all, not by a long shot. The F-150 offers five other trims, culminating in the F-150 Limited starting at $60,850. The Limited has tons of features, including the larger EcoBoost V6 engine, twin-panel moonroof, 360-degree camera, and pre-collision assist with pedestrian detection. In a sense, the F-150 is almost any price you want this Ford to be, depending on your budget and needs. By comparison, the Sierra 1500 has only four trim levels, with the base model starting at $29,000. The base Sierra pickup has more features than the F-150 XL, but maybe those are features you don't want and don't want to pay more for. The mid-tier Sierra 1500 SLT is more expensive than the mid-tier F-150 Lariat-$42,800 versus $41,000. So even if you don't want a workhorse and prefer a well-rounded pickup truck, the Ford is going to be less expensive at that price point too. 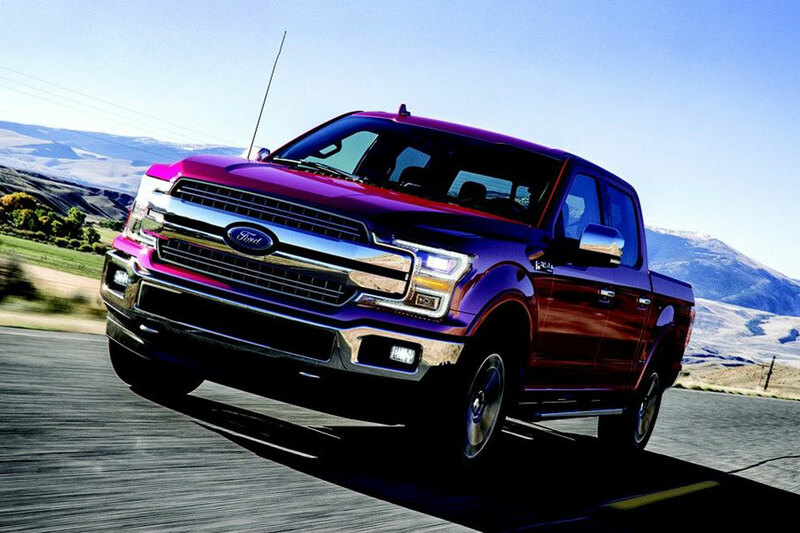 Continuing the trend of options, options, options, the 2018 Ford F-150 offers five engine options, everything from the base 290-horsepower 3.3-liter V6 to the pulse-pounding F-150 Raptor engine: a 450-horsepower 3.5-liter twin-turbocharged V6. This engine can generate a prodigious 510 lb-ft of torque. If that's too much for you, there's plenty of other options to choose from. All this amounts to an unparalleled 13,200-pound towing capacity. Continuing the trend, the 2018 GMC Sierra 1500 offers only three engine choices. The Sierra 1500's base engine is a 285-horsepower 4.3-liter V6 engine and the options levels off at a 420-horsepower 6.2-liter V8 engine producing 460 lb-ft of torque. We're looking at a towing capacity of 12,500 pounds. Numbers don't lie and the GMC Sierra falls a little short of the F-150's. With unparalleled performance and towing, you'd expect the 2018 Ford F-150 to be a gas guzzler. You might be surprised to learn that, in fact, the F-150 gets better gas mileage than the GMC Sierra 1500. That's 17 city and 23 highway miles per gallon. That's not great compared to a four-door sedan, but good enough to beat the GMC, which gets 15 city and 20 highway miles per gallon. You can expect to save hundreds of dollars a year on fuel just by driving a Ford. The Ford F-150 continues to prove itself. 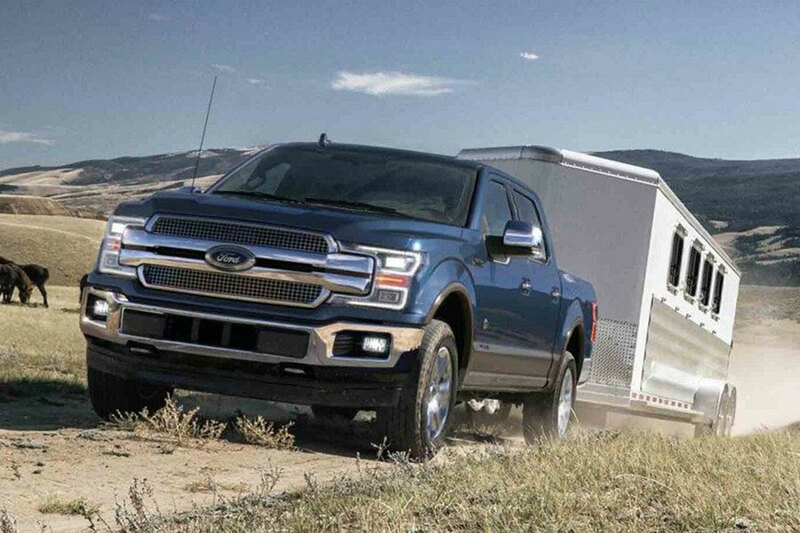 The 2018 model year, just like many years before it, shows that the F-150 still dominates the pickup truck market.